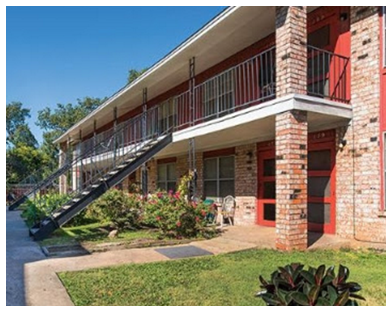 ​​HOUSTON – The Cleme Manor Apartments in the Fifth Ward will received a $41 million boost for its first comprehensive renovation of the affordable housing property in two decades. The funding is provided through a public-private partnership with HUD, the City of Houston, PNC Bank and others. The NHP Foundation announced it received the $41 million in funding for the Houston affordable housing complex, built in 1970 in the Fifth Ward community. The property features 284 units in 25 two-story buildings. The renovation by NHP will include the installation of new drywall, Energy Star appliances, doors, higher efficiency HVAC units and water heaters. In addition, a new play area and rehabilitation of the office, community space and laundry facilities are planned.